Amplify Education was part of the founding team of XQ Super School Project by Emerson Collective. Amplify supported the entire application process for applicants to take a journey of understanding the design challenge and going through stages of application. Since there is so much information that applicants must learn and take into consideration their school concept, Amplify faced design opportunities to help applicants to get organized. As part of the founding team, I function as a design strategist to help come up with strategic thinking to help high school design applicants to rapidly prototype their school concept while handling a large volume of design criteria. I built a brand-new framework called “XQ Canvas” where applicant teams would rapidly prototype and iterate their school concept by posting post-it notes on this canvas. 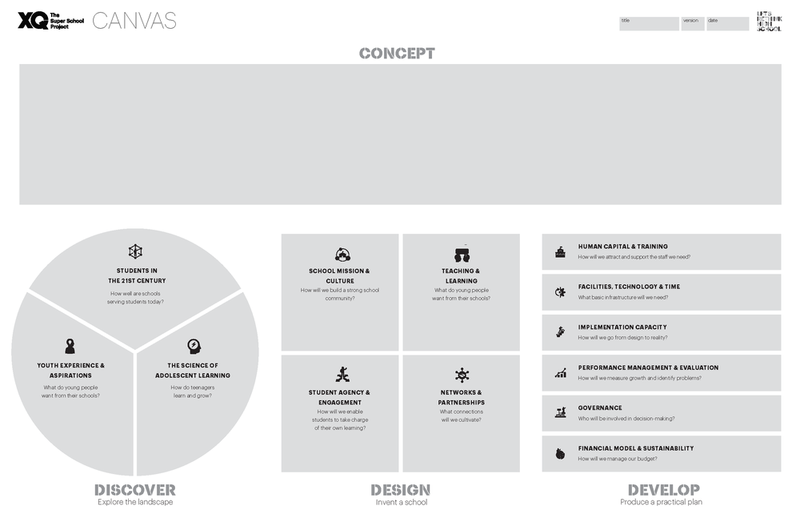 Canvas allows applicants to map out their school concepts visually. To communicate how to use this framework, I also art directed and implemented an introduction animation shown above. 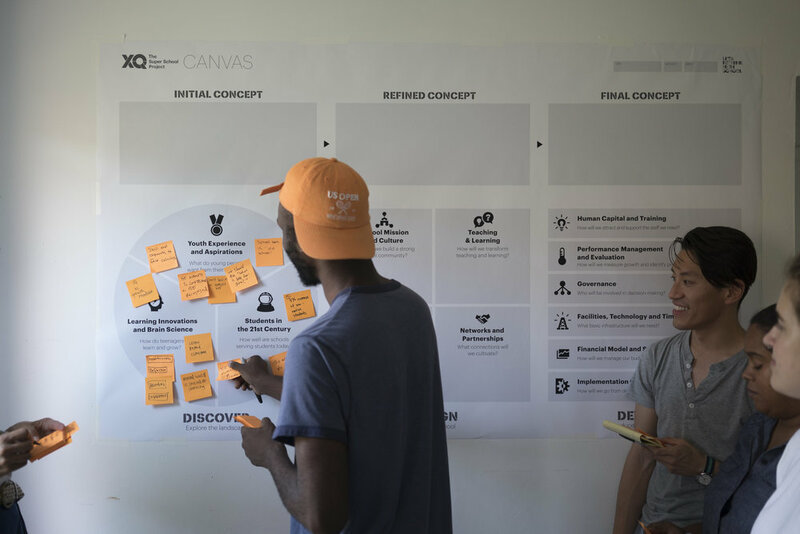 XQ Canvas was born from the inspiration of Business Model Canvas by Alexander Osterwalder. Applicant team members would use this framework with post-it notes. Applicant team downloaded the PDF and learned about the usage on XQ Super school website. Numbers of applicant teams utilized this tool and it helped them to visualize and communicate their school concepts to their team members and stake holders. It saved their time to build concept as well as communication. Designing a thinking framework is still not widely recognize its power, however, I once again, witnessed how much efficiency and clarity it gives to a team. At the same time, if we didn’t build the introduction animation, it would have been much more difficult to communicate about this framework. Since it does require enough understanding of how to use this framework, I learned the importance of building an effective communication strategy.